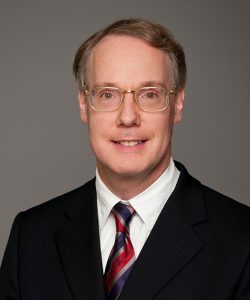 David R Schramm MD SM FRCSC FACS is the Chair of the Department of Otolaryngology – Head and Neck Surgery at the University of Ottawa and Head of the Department of Otolaryngology – Head and Neck Surgery at The Ottawa Hospital. He subspecializes in otology, neurotology, and lateral skull-base surgery. Dr. Schramm is also the Surgical Director of the University of Ottawa Auditory Implant Program. Dr. Schramm graduated from the University of Toronto Faculty of Medicine and completed post-graduate residency training in otolaryngology at the University of Ottawa. Subsequently, he completed a fellowship in otology, neurotology, and lateral skull-base surgery in Illinois. Dr. Schramm graduated from the Harvard School of Public Health with a Master of Science in Epidemiology. He completed the Canadian Foundation for Healthcare Improvement Executive Training for Research Application (EXTRA) Fellowship in evidence-based healthcare decision-making. Dr. Schramm is an Associate Professor in the Department of Otolaryngology – Head and Neck Surgery and an Associate Scientist in the Ottawa Hospital Research Institute Clinical Epidemiology Program. He also is the American College of Surgeons National Surgical Quality Improvement Program (NSQIP) Surgeon Champion for The Ottawa Hospital.